In life, there is a universal truth: the Earth and its inhabitants cannot live without water. Water is critical to the health of our global environment and our global economy. The protection of water resources is vital on many levels, and the vulnerabilities of those resources only justify their conservation – especially for the Army Reserve, which relies on water to meet its missions. From an environmental perspective, clean water is vital to the basic biological functions of all living things. Water is a controlling factor for biodiversity and the distribution of Earth’s varied ecosystems. Water provides habitat for plants and animals, and it is essential to the regulation of the planet’s climate patterns. From an economic perspective, water is necessary for the production of food, clothing, power and nearly all other consumer goods and services. Access to water is also considered a competitive advantage for a wide array of industries including recreation, agriculture, manufacturing and transportation. According to UN Water, an interagency entity of the United Nations, nearly two million people worldwide depend on water for their livelihoods. If water resources are not protected properly, though, they can create numerous environmental and financial issues. 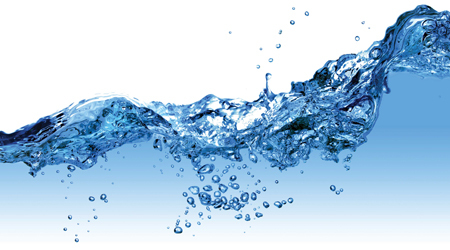 Although water is considered a renewable resource, it is also a finite resource. Competition for clean water is on the rise as our global population continues to grow. Failing water infrastructure is creating a financial burden on cities where water shortages are already a concern. Costs to treat water for human consumption are also on the rise, and those costs are passed on to consumers. Pollution is decreasing water availability and quality, threatening our natural resources, creating risks for water reliant economic sectors and increasing the proliferation of waterborne illnesses. Our Soldiers and support force rely on viable, accessible water to maintain readiness and meet mission requirements both at home and overseas. The U.S. Army Reserve has a global footprint, so water crises across the world have the potential to impact our abilities to accomplish our mission. Therefore, the Army Reserve must do its part to conserve water and protect vital resources. According to Paul Wirt, Chief of the Army Reserve Sustainability Programs Branch at the Office of the Chief of the Army Reserve, 46 percent of Army facilities are currently located in vulnerable or high vulnerability areas. The Army Reserve has been successful in its water conservation efforts. In fiscal year (FY) 2015, the Army Reserve achieved a 42 percent reduction in potable water use intensity (potable water use divided by square footage) and a 25 percent reduction in industrial, landscaping and agricultural water use, compared to a FY 2007 standard. In FY 2015, the Army Reserve saved $406,198 in overall water costs, compared to FY 2014 expenses. Jaime Kearney, Army Reserve Water Program Coordinator, and Kate McMordie Stoughton, Pacific Northwest National Laboratory Senior Engineer, attribute the reduction to several factors. The implementation of water efficiency projects is leading the charge. For instance, less efficient plumbing devices were replaced with water efficient models at two facilities at Devens Reserve Forces Training Area last year. Kearney said that those facilities expect to see a 30 percent reduction in water use as a result of those actions. Replicating successes like these will have a significant impact on water use across the Army Reserve enterprise. Leak detection and repair has also contributed to the success. Through the Assess, Maintain, Improve (AIM) Program, Building Energy Monitors at Army Reserve facilities are trained to monitor plumbing devices for leaks and other maintenance issues. “If AIM measures are followed, sites will see reductions in water loss through leaks and wasteful practices,” said McMordie Stoughton. Alternative water source projects such as rainwater harvesting and facility occupant education will also be at the forefront of continued water conservation efforts. Ultimately, the most effective aspect of the Water Program may be its holistic approach to sustainability. “We have been working with water managers to distribute information on water reduction both in the work place and the home,” said Kearney, emphasizing that water conservation is the responsibility not only of Soldiers but also of citizens. Everyone in the Army Reserve community can help conserve our resources by remaining conscious of water use and saving water wherever possible. If we all work together, we can conserve water for our current and future missions and lessen the impact on the world’s water resources.